Outside of all that, for me being a Dad is hard because I want him to be the happiest kid on the planet and also the healthiest of course, I want him to make decisions on his own for his life that will ultimately lead to his happiness. I don't want to be too forceful in the way he decides or does things, but I also want to lend a helping hand in what he does. I want to be there, but don't want to take total control. Today we played around taking photos, which I LOVE, obviously. I try not to get too involved, I set the camera so that he should achieve a half decent exposure, for the most part. I don't want to overwhelm him with the settings, or force him. So far, he really enjoys it. He is getting it. Ben likes to use our "small" camera. The Fuji is my daily camera. It comes with me all the time. It's not perfect and I don't care. My kid took this of me! I couldn't love it more. I also try to gradually and firmly establish in him that happiness is the most important thing in the world and it's the goal we all should have, our goal is to be happy isn't it? I used to think that being super rich was the goal, the meaning of this life, but it isn't, not for me anyway. Maybe having an endless bank account would make for some serious happiness, but at what cost? I guess if these are the hardest things about being a parent, then I have it pretty good. I do know how fortunate I am and I never take things for granted, but I just always wonder how things will turn out and how much involvement we as parents need to have. Like I said, he is almost 11. I have a very short amount of experience as a parent, so it's easy to wonder if you are doing things the way they should be done. Then again, is there even a way? My "bed head" is remarkable. Anyway, below are the two cameras we used today, I plan to do a post about all of the equipment I have and use, I am without a shadow of a doubt a gadget geek, my biggest struggle is always wanting and buying new gear. I have a bad case of GAS, (Gear Acquisition Syndrome) the all-consuming desire to expand your collection of photographic gear. Jeff Cooke makes fun of me all the time, but he's even worse than me, he just won't admit it! The Nikon D850 with a AF-S NIKKOR 35mm f/1.4G lens. This camera would sleep in my bed with me if Helen wasn't there. I have never used anything like it. I baby it like a newborn. It is just...incredible. If you are a pixel peeper, this is the camera for you. The quality is unmatched. 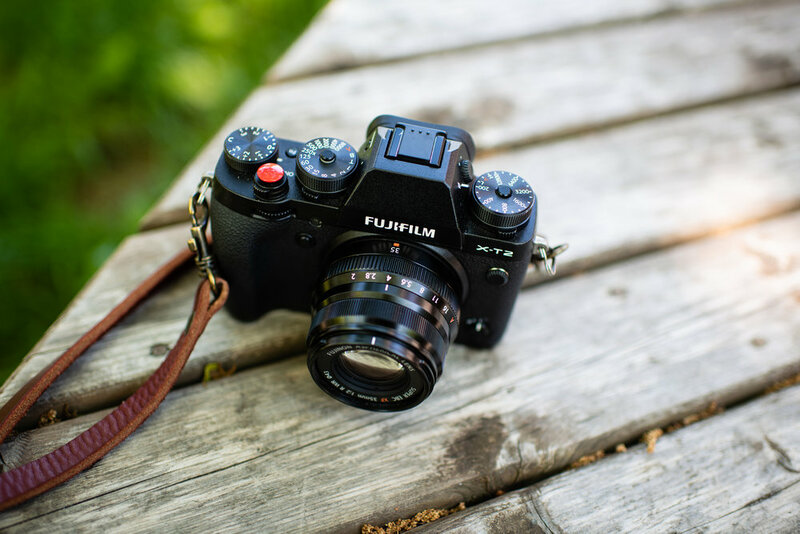 The Fujifilm XT-2 and the FUJINON XF35mmF2 R WR. 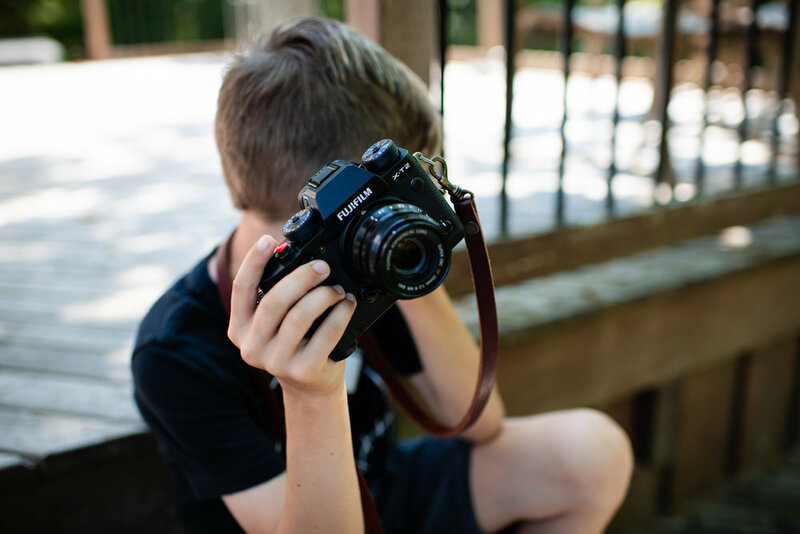 I have been "testing" the Fuji mirrorless system since April and I'm in love. I have so much excitement these days about where the industry is going with mirrorless cameras. Super fun stuff!